Any failure to do so would have plunged the country into further chaos and created yet more uncertainty at a time when all of us, from the business community to the man and woman on the street are desperate to move ahead. Mrs May was completely honest with us. She has said that the decision will come under intense scrutiny and she is surely right here. There are still problems ahead. The DUP is already threatening to make trouble and there is still the prospect of further resignations. 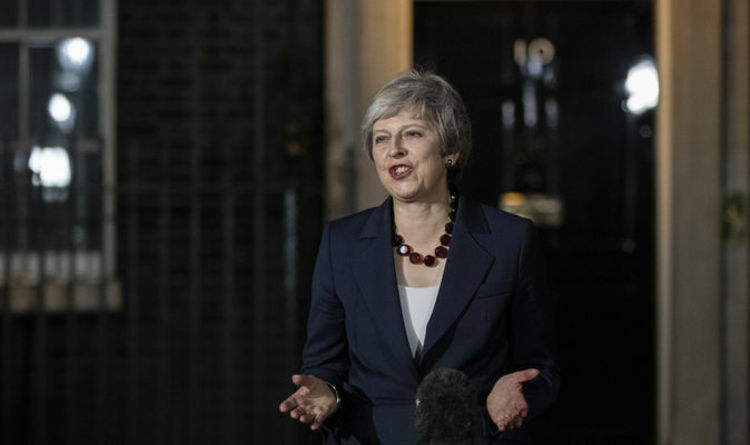 But given the immensely difficult circumstances under which she has been coping, it is a small miracle that a deal has been reached with full Cabinet backing at all. And we must remember that there is still scope for future manoeuvre: nothing has to be set in stone. A few years ago most people believed we would never really leave the European Union and that has been proven wrong. Whatever the rights and wrongs of the deal that has been reached, there can still be future negotiation, not least as the EU needs us more than we need them. And yet again, our remarkable Prime Minister has defied all dire predictions and pulled off quite a coup. IT IS appalling news that such large numbers of women have either not been reminded that they were due to take a smear test or were never sent the result. Lives have been put at risk by what the NHS has been calling an "administrative error", as if it were on a par, somehow, with not ordering enough pens. This was a disgraceful act of incompetence on behalf of Capita, which is responsible for sending out the letters, and while a senior executive from the firm has now left, this is not enough. A proper investigation must be held into this whole fiasco while every woman involved must be tracked down and given the proper information and reassurance. The chief executive at the charity Jo's Cervical Cancer Trust has said cervical screening is "not fit for purpose". That certainly sums it up. AND so it's that time of year again - the seasonal Christmas ads are hitting our screens, with even Sir Elton John joining in the fun in the John Lewis commercial. These advertisements are far and away the most anticipated of the year and frequently produce a lump in the throat. Turn on, tune in - and enjoy.